As the market leading funeral directors in Victoria, Tobin Brothers was looking to increase the transparency and practical assistance for planning a funeral. 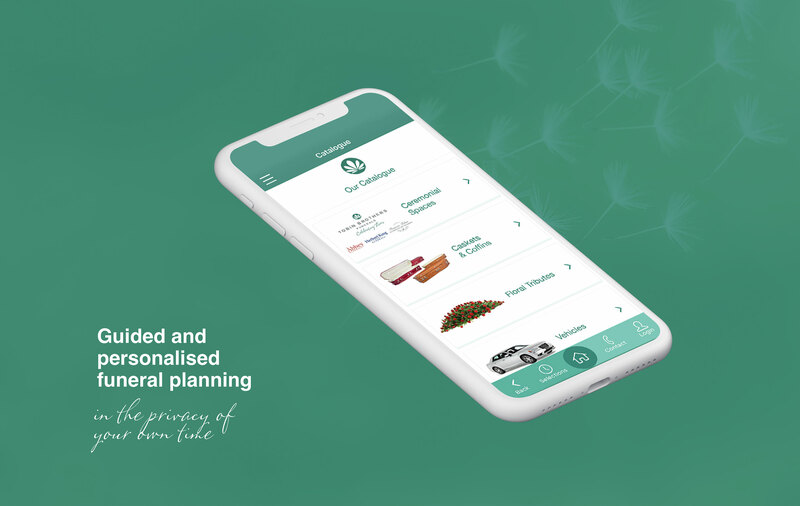 Tobin Brothers Funerals clear goal was to provide the most transparent source of information about funeral services in the market, Sharp Instincts built a strategically planned app that aimed to help both the user and their funeral planning team. 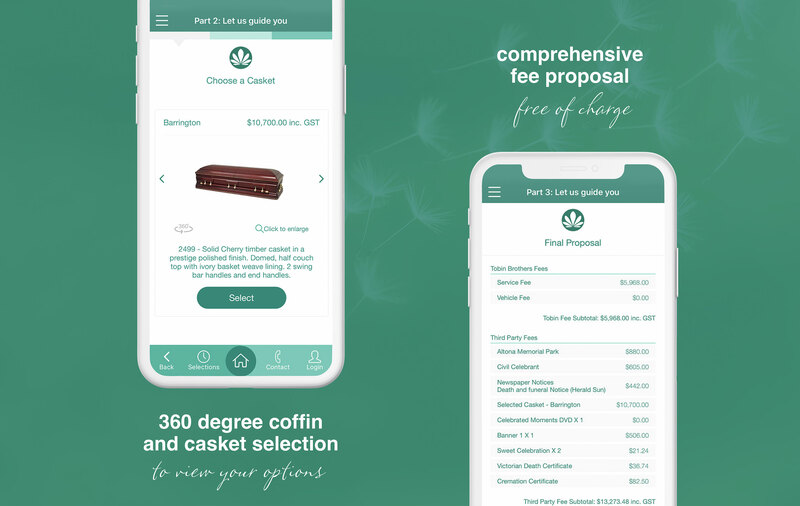 Some of the features created include creating a fee proposal based on your choices, browse the catalogue of funeral service options, easily compare various selections or even customise a coffin or casket and then view it in a 360 degree rotation. In July 2018, this app was simultaneously launched across the Google Play Store & the Apple App Store for both phone and tablet. 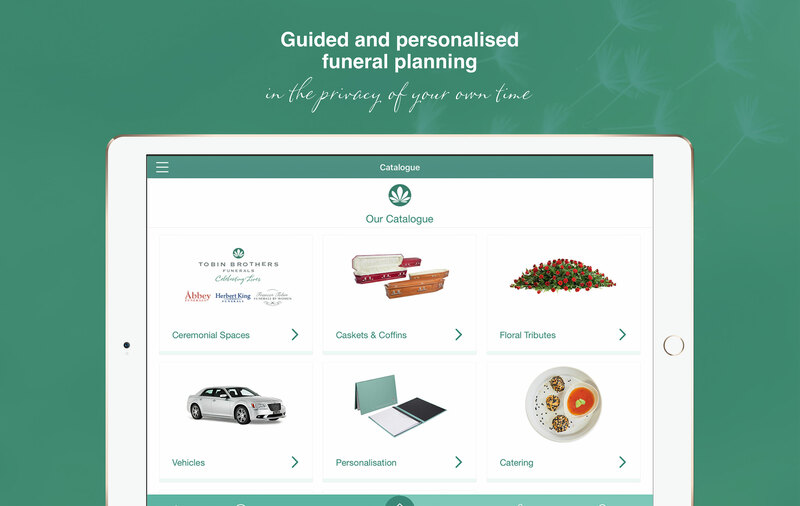 The unique offering presented by the app such as building your own coffin or casket, step by step guided funeral process, comparing plans and services has been a great success for both customers and Tobin Brothers funeral consultants. "As a leader in Funeral Service and a first mover, we wanted to take transparency to levels not seen before in Funeral Service worldwide. Our Memory Maker App includes a world first allowing the user to “Build your own” Coffin or Casket. This App allows clients to be able to make very clear and informed decisions. The team from Tobin Brothers Funerals and Sharp Instincts have built a product which has been described as a “game changer” in the Funeral Industry."